Somaliland Minister of Presidential Affairs, Hon Hersi Hassan HaJi, has met with the Crown Prince of Saudi Arabia, Abdi Aziz Al Saud, to discuss ways to strengthen ties between the two nations. Trade agreements between Somaliland and Saudi Arabia date back centuries and the two countries have a history of cooperation. The Somaliland Ambassadors to Kuwait and the holy city of Mecca were also present in the meeting. Somaliland Minister of Presidential Affairs Hon Hersi Hassan HaJi Ali currently visiting the Kingdom of Saudi Arabia to perform UMMRAH has met with top officials in holy city of Mecca including the Saudi Arabia crown Prince. The Presidential Affairs Minister was received at the rulers Palace by Saudi crown Prince Abdi Aziz Al Saud and other top officials in the Kingdom. Hon Hersi and the Saudi Crown Prince discussed ways to strengthen the existing cordial relations between the two countries. 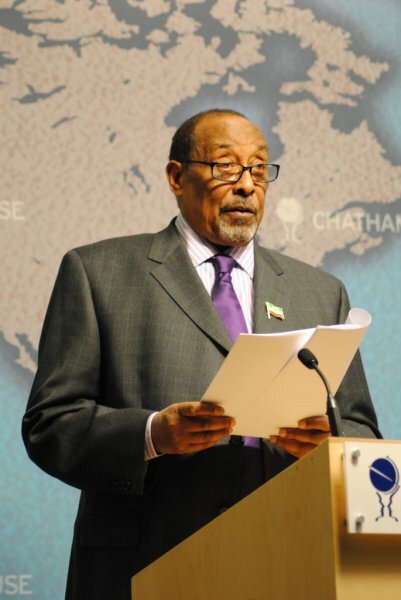 Somaliland has a long-established trade and commercial relations with the Kingdom Of Saudi Arabia spanning centuries. The Presidential Minister was during the meeting flanked by Member of Parliament Hon Abdullah Black and Hon Abdullah Musa Somaliland Ambassador to KSA and Kuwait and Hon Ahmed Adan Dagal Safina, Somaliland special Envoy to the Holy City of Mecca.